ARETHA FRANKLIN TO RELEASE BRAND NEW STUDIO ALBUM ON OCTOBER 20th. 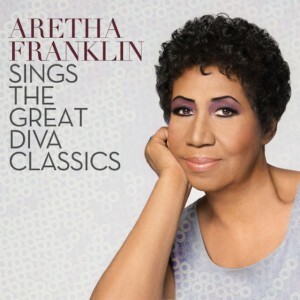 ‘ARETHA FRANKLIN SINGS THE GREAT DIVA CLASSICS’ on October 20th via RCA Records. The album’s lead single, Adele’s “Rolling In The Deep (The Aretha Version)” is currently available for download with album pre-order at select digital retailers. ARETHA FRANKLIN SINGS THE GREAT DIVA CLASSICS reunites Franklin with Sony Music Entertainment’s Chief Creative Officer Clive Davis as they take the helm as co-producers to bring Davis’ album concept to fruition. A-List producers Kenny “Babyface” Edmonds, André 3000, Harvey Mason, Jr., Terry Hunter and Eric Kupper add their award-winning production skills.